Your favourite offer Fun-o-log is extended!! Your favourite offer Fun-o-logy has been extended till the 30th September 2015. The offer is back at India’s largest amusement park EsselWorld and Asia’s largest theme water park Water Kingdom. 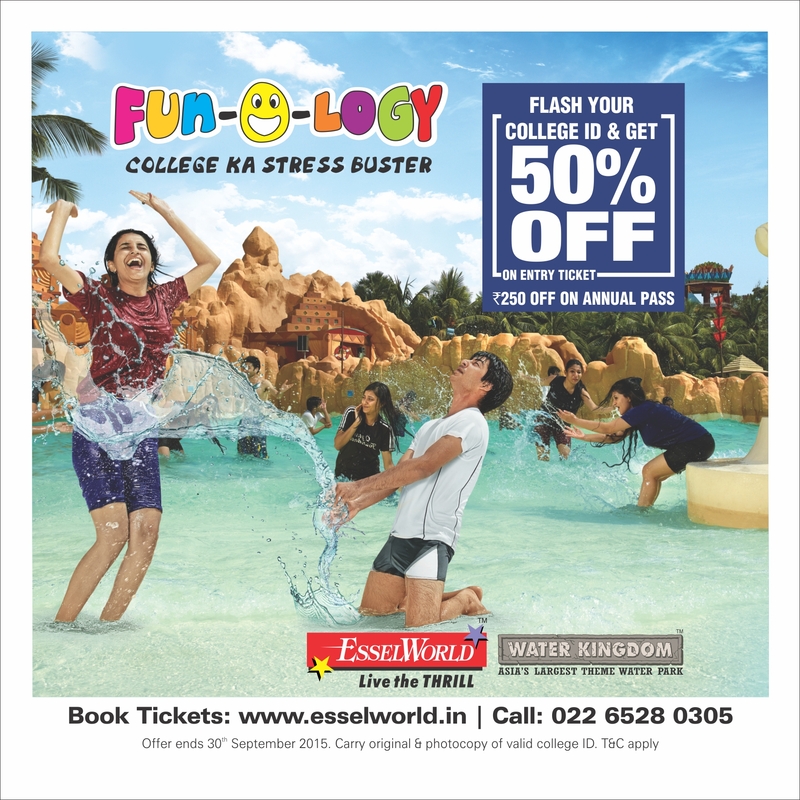 All college students can enjoy this extended Thrill and Chill at EsselWorld and Water Kingdom at exciting discount! Hop onto breathtaking International rides, enjoy fun-filled water splash and have an unforgettable day, all at flat 50% off. All they need to is carry original and photo-copy of valid College ID to avail the scheme. Offer valid till 30th September. The bookings can be done online and on the spot at the parks. There’s still time to save your money and take leisure breaks to EsselWorld & Water Kingdom at a special discounted price.